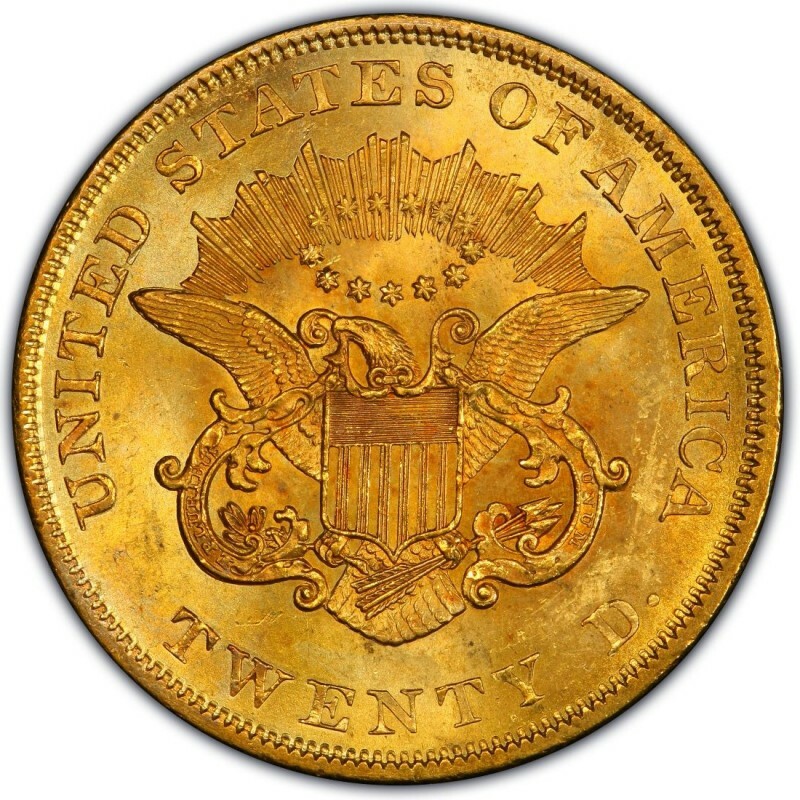 1861 Liberty Head double eagle $20 gold coins represent the earliest year that total mintages approached 4 million across the three mints issuing the denomination at the time. Interestingly, there were two reverse designs produced that year: the original design by James B. Longacre and a second one by Anthony C. Paquet. The Paquet design largely retains many elements of Longacre’s work, but the letters on the reverse are taller and a few other minor details, such as placement of the 13 stars, differ from the regular reverse. The Paquet reverse did not survive long and was withdrawn in favor of Longacre’s original reverse. There are two known specimens of the 1861 Paquet design, one of which sold in 1988 for $660,000. There are a few 1861-S issues extant, and these sell for more than $55,000 in a grade of Extremely Fine 40. *Values are for coins in a grade of Extremely Fine 40 unless otherwise specified. 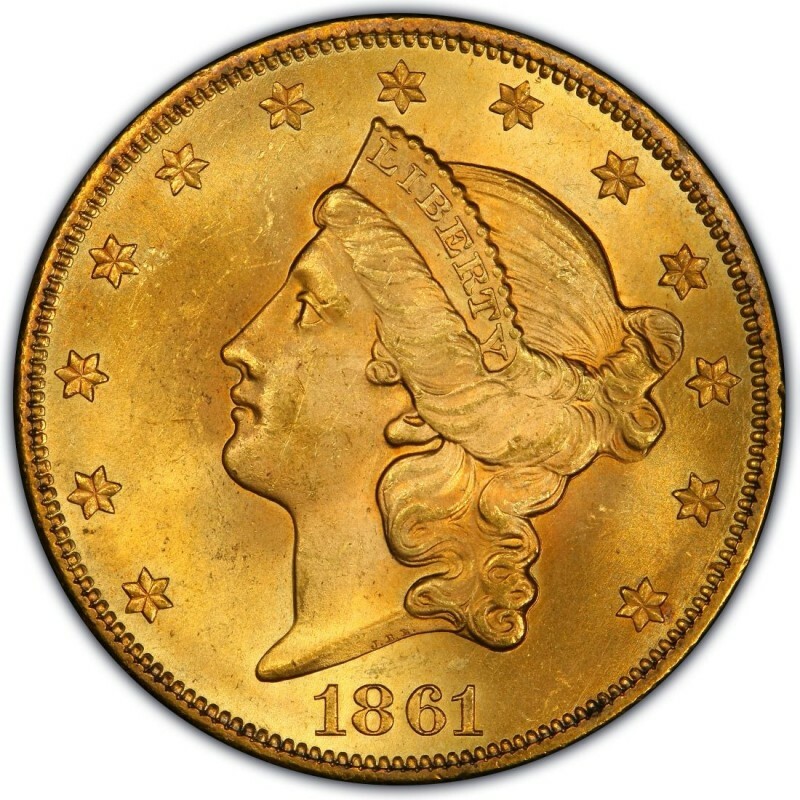 As is the case with virtually all pre-1933 U.S. gold coins, 1861 gold double eagles are much scarcer than the mintage figures above would suggest. For extra protection, if you decide to pursue buying 1861 gold double eagles, be sure they are in certified slabs from a reputable third-party coin grading firms. PCGS MS62 1861 $20 Gold Liberty Double Eagle: Only 53 Graded Finer! !